Complaints made against Lincolnshire Police by members of the public rose by two per cent last year, figures released by the Independent Police Complaints Commission (IPCC) show. In total, 510 complaints were made in 2013/14 about the conduct of officers or about the direction and control of the police force. The two per cent rise compares with a 15 per cent rise in complaints made across England and Wales, and follows a two per cent increase in complaints recorded in Lincolnshire in 2012/13. A total of 728 allegations were made against Lincolnshire Police, as a complaint case may have one or more allegations attached to it. Per 1,000 employees the force recorded 365 allegations, compared to 251 for all forces in England and Wales. Of the appeals from the public against the force, 43 per cent were upheld by the IPCC, compared with a 20 per cent upheld rate for those considered by the force itself. The overall uphold rate by police forces in England and Wales is 20 per cent, compared with 46 per cent by the IPCC. The IPCC upheld eight of 14 appeals where people were unhappy that Lincolnshire Police had not recorded their complaint, and 10 of 28 appeals from people unhappy with the Lincolnshire Police investigation into their complaint. 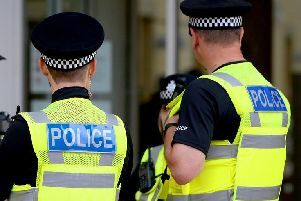 In 2013/14, Lincolnshire Police finalised 535 complaint cases in an average of 98 working days, compared to an England and Wales average of 101.